Op dit moment doet de straatverlichting het niet in veel straten in IJsselstein. 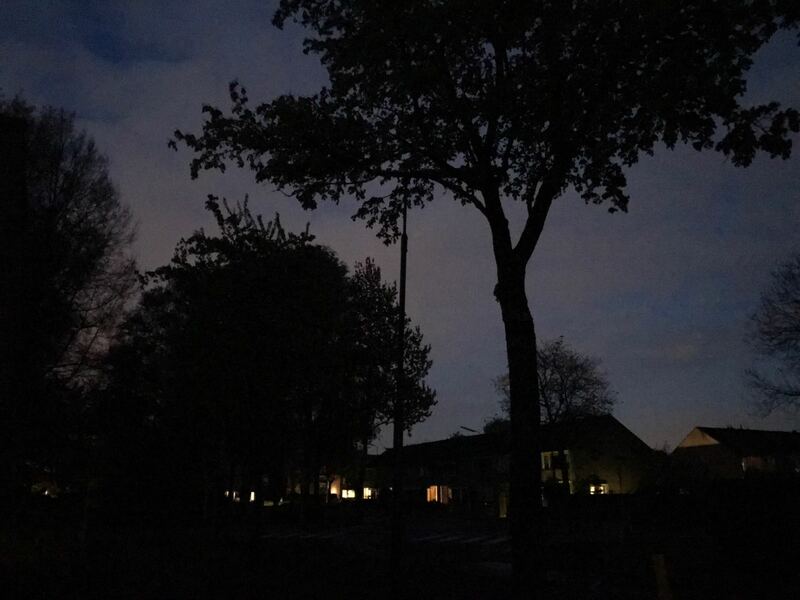 Een groot deel van IJsselstein zit zonder verlichting. Stedin is aan de Panoven druk bezig om de storing te verhelpen. Update: rond 23:45 is de straatverlichting hersteld. You recognize consequently substantially on the subject of this disorder, generated us individually imagine the item through a great number of diverse perspectives. Their such as men and women don’t seem to be engaged other than it is something connected with Girl crazy! Your personal products good. All the time keeping it in place! pilkada Heya i am just for any key moment below. I ran across this board and i also to uncover It genuinely helpful & them reduced the problem available a lot. I am hoping to present some thing rear as well as guide other folks like you helped me to. and give you a shout out from Dallas Tx! Just wanted to mention keep up the good work! Hello there cool site! Male.. bursa saham price Exceptional. Outstanding. I’m going to take note of your web site plus use the for likewise? Now i’m contented to locate a lot of beneficial information within your publish, we want produce additional techniques normally made available, many thanks discussing. at this web site is in fact fastidious. such detailed approximately my trouble. You are wonderful! to see this web site on regular basis to take updated from hottest reports. of his web site, as here every stuff is quality based information. Useful info. Lucky me I discovered your site by chance, and I am stunned why this twist of fate didn’t came about in advance! I bookmarked it. p.c. to drive the message house a bit, but other than that, this is wonderful blog. in web explorer, would check this? IE still is the marketplace chief and a big part of other people will pass over your excellent writing because of this problem. It is really truly a terrific and practical part of data.. beli chocolate machine indonesia I am happy that you simply contributed this useful information along with us. You need to keep us informed this way. Many thanks for giving. him/her to go to see this weblog, Keep up the good job. I read this piece of writing fully regarding the difference of most up-to-date and previous technologies, it’s awesome article. anyplace, when i read this piece of writing i thought i could also make comment due to this sensible piece of writing. Thanks for finally talking about >Geen straatverlichting in delen van IJsselstein <Loved it! page, i am visiting this website dailly and obtain good information from here every day. This paragraph is genuinely a nice one it helps new internet users, who are wishing for blogging. Whats up very cool blog!! Guy .. Beautiful .. Superb .. I’ll bookmark your web site and take the feeds also…I am satisfied to find numerous useful information right here within the put up, we’d like work out more techniques in this regard, thank you for sharing. . . . . .
Have you ever considered creating an ebook or guest authoring on other websites? I have a blog centered on the same subjects you discuss and would really like to have you share some stories/information. I know my viewers would enjoy your work. If you are even remotely interested, feel free to shoot me an email. Please let me know if you’re looking for a author for your site. You have some really good articles and I think I would be a good asset. If you ever want to take some of the load off, I’d really like to write some material for your blog in exchange for a link back to mine. Please shoot me an email if interested. Kudos! I do agree with all of the ideas you have introduced in your post. They’re very convincing and will definitely work. Still, the posts are too quick for starters. May you please prolong them a bit from subsequent time? Thanks for the post. Simply wish to say your article is as astounding. The clearness in your post is simply excellent and i could assume you are an expert on this subject. Well with your permission allow me to grab your RSS feed to keep updated with forthcoming post. Thanks a million and please carry on the gratifying work. Hi there! Someone in my Facebook group shared this site with us so I came to look it over. I’m definitely loving the information. I’m book-marking and will be tweeting this to my followers! Terrific blog and superb style and design. It’s perfect time to make some plans for the future and it’s time to be happy. I have read this post and if I could I want to suggest you some interesting things or tips. Perhaps you can write next articles referring to this article. I want to read even more things about it! Heya i am for the primary time here. I came across this board and I in finding It truly useful & it helped me out much. I’m hoping to offer something again and help others like you helped me. Howdy this is kind of of off topic but I was wanting to know if blogs use WYSIWYG editors or if you have to manually code with HTML. I’m starting a blog soon but have no coding skills so I wanted to get guidance from someone with experience. Any help would be enormously appreciated! The subsequent time I read a weblog, I hope that it doesnt disappoint me as a lot as this one. I mean, I know it was my choice to learn, however I actually thought youd have something fascinating to say. All I hear is a bunch of whining about something that you can repair in case you werent too busy in search of attention. I’ve read a few good stuff here. Definitely worth bookmarking for revisiting. I surprise how much effort you put to make such a excellent informative web site. It is in point of fact a nice and helpful piece of info. I’m glad that you shared this helpful information with us. Please keep us informed like this. Thank you for sharing. Thanks for another informative web site. The place else could I get that kind of info written in such an ideal method? I’ve a project that I’m simply now operating on, and I have been on the glance out for such information. Thank you for every one of your effort on this blog. Ellie enjoys getting into research and it is easy to see why. Most of us learn all relating to the dynamic means you convey invaluable guidelines through this website and as well welcome contribution from other people on the concept then my girl is without a doubt understanding a whole lot. Enjoy the remaining portion of the year. You are always carrying out a glorious job. hey there and thanks to your information – I have certainly picked up something new from right here. I did however experience some technical issues the use of this website, as I experienced to reload the site lots of times previous to I may just get it to load correctly. I have been considering if your web host is OK? Now not that I’m complaining, but slow loading cases instances will often have an effect on your placement in google and could damage your high quality rating if ads and ***********|advertising|advertising|advertising and *********** with Adwords. Well I’m adding this RSS to my e-mail and can look out for much extra of your respective intriguing content. Make sure you replace this again very soon..
Can I just say what a relief to seek out somebody who really knows what theyre talking about on the internet. You undoubtedly know how you can deliver a problem to mild and make it important. Extra individuals have to learn this and understand this aspect of the story. I cant believe youre no more well-liked because you positively have the gift. of course like your web-site but you need to check the spelling on quite a few of your posts. A number of them are rife with spelling issues and I find it very troublesome to tell the truth nevertheless I’ll definitely come back again. Hello there, I discovered your web site via Google even as searching for a comparable matter, your site came up, it appears good. I’ve bookmarked it in my google bookmarks. Useful information. Lucky me I found your web site by chance, and I’m surprised why this accident did not came about earlier! I bookmarked it. you’re really a good webmaster. The website loading speed is amazing. It seems that you’re doing any unique trick. Also, The contents are masterwork. you have done a magnificent job on this topic! Hiya! I know this is kinda off topic however , I’d figured I’d ask. Would you be interested in exchanging links or maybe guest authoring a blog article or vice-versa? My site discusses a lot of the same topics as yours and I believe we could greatly benefit from each other. If you are interested feel free to send me an email. I look forward to hearing from you! Awesome blog by the way! What’s up Dear, are you genuinely visiting this site regularly, if so afterward you will absolutely get nice knowledge. you make blogging look easy. The full look of your website is fantastic, as neatly as the content material! user of internet so from now I am using net for articles, thanks to web. Ahaa, its pleasant dialogue concerning this piece of writing here at this web site, I have read all that, so now me also commenting here.